Pakistan readying to construct a medium sized military base in occupied Kashmir in what called as Gilgit Baltistan in Pakistan. Kashmir has been under control of three nations, half of them under India, another quarter under Pakistan and another quarter under China. Pakistan never tried to put such large number of military troops in occupied Kashmir in peacetime, due to heavy pressure from India and international organization, knowing that might escalate another war between India and Pakistan, which also destabilize the balance in the region. Pakistan and China planning a road way which will connect the Chinese and Pakistani mainland together, the plan is what called as Silk road since ancient times. the road formally connect China, India, Pakistan, Afghanistan and Iran. Pakistan and China estimates up to $45 billion worth of goods will be exported through the silk road. later the same extend up to Iran. India opposed the plan of Silk way, since they road might be used to transport Chinese troops into Pakistan freely. also the road also been constructed in Indian lands occupied by Pakistani uniformed terrorists, and other jihadi organizations. Pakistan thinking of deploying a brigade level of forces in occupied Kashmir to safe guard the Silk road, Pakistan saying that deploying military personnel's only for securing the china Pakistan economic corridor (CPEC) from terrorists. However India and some other military watchers thinks that might be reason to put a brigade level forces close to Indian borders. The new military establishment will be constructed close to Dimar in Occupied Kashmir, Diamer is located just a 100 kilometer from the actual Line of Control. which allows the brigade level forces comes close to the border within two hours. Normally military bases are constructed to accommodate more number of military personnel and civilians, along with defensive and offensive setups for conducting assault against enemy troops. 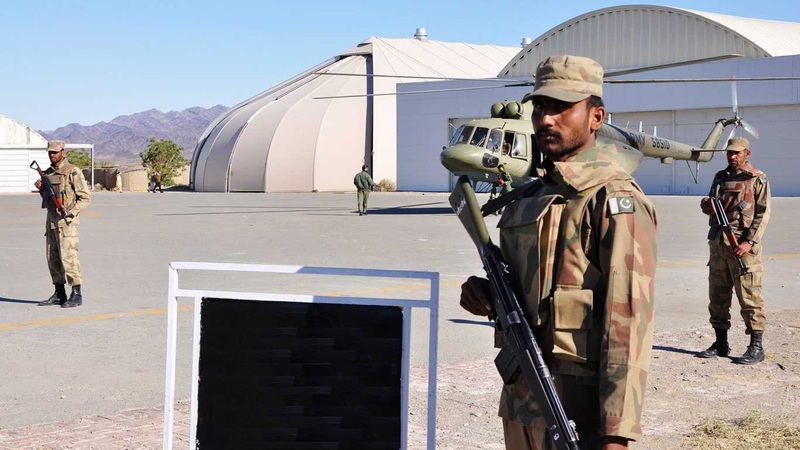 Details already emerged out that Pakistani army already arrived the zone, that they were start assessing the lands before constructing lethal military buildings in the Diamer.